Welcome to the Kit Kat Club and Berlin in the 1930s. The Nazis are rising in power and life may be uncertain, but you are invited to leave your troubles outside and join the Emcee, singer Sally Bowles and a wonderful and colorful ensemble who will tantalize and entertain you. When Cabaret was originally produced and directed by renowned director Hal Prince in 1966 conflict in America was the central theme found in politics and society at large. Despite the Civil Rights Bill being signed in 1964, race riots and shootings of African Americans were commonplace in our country. Hal Prince was very cognizant of these events and he wanted to use the musical theatre art form to create a cautionary tale set in pre-World War II Germany to illustrate to an 1960s audience how important it is to not repeat the errors of the past. It is undeniable that this tale is still relevant today. Playing on these themes, Coronado Playhouse’s production will evaluate the psychology of how our well-intended goals can easily degrade because of fear and lack of empathy. Audience members will be active participants in this drama from the moment they step into the theatre. Become a patron at Weimar’s 1931 Kit Kat Club and interact with the Kit Kat Girls and the fabulous Master of Ceremonies. The intimacy and immersive quality of the space will lend a hand in creating an unique theatre experience for the audience. Written by Joe Masteroff, with music and lyrics by Broadway legends John Kander and Fred Ebb, Cabaret debuted on Broadway in 1966. The 1972 movie, directed by Bob Fosse and starring Liza Minnelli, Michael York and Joel Grey, won eight Academy Awards. Musical numbers in the show Wilkommen, Mein Herr, Perfectly Marvelous, Don’t Tell Mama, Maybe This Time and the haunting Tomorrow Belongs to Me. The program is available here: Cabaret Program. SUSAN BOLAND (Fräulein Schneider) was last seen in Follies (Solange LaFitte) and is pleased to be in this, her 12th Coronado Playhouse production. San Diego Credits include: Fiddler on the Roof, Meet Me in St. Louis, Cabaret, Grease, Stepping Out, My Fair Lady (Welk Theatre); Nunsense, Little Women, Pirates of Penzance, Guys and Dolls, Most Happy Fella (Moonlight); Ragtime, Damn Yankees, Oklahoma (Starlight); Three Penny Opera (SD Rep).. Sue is a Coronado resident, a graduate of the Manhattan School of Music, NYC and is a retired CPA. HUNTER BROWN (Emcee) is proud to making his Coronado Playhouse Debut! Past credits include: The Wedding Singer (Sammy), Rocky Horror Picture Show (Brad Majors), Reefer Madness (Jimmy) and Band Geeks (Spitz). Hunter would like to thank the cast and crew of Cabaret and everyone who helped make this possible. Hunter would like to dedicate this show to Gracie Brown. DEANNA CALI (Fräulein Kost) Is honored to be back at Coronado Playhouse after her appearance in Macbeth (2018) for which she is nominated for a Blue Ribbon Award. She is looking forward to many more shows with CPH and is working towards collaborating with San Diego Rep and Cygnet amongst many others in the future. Besides theatre, she is a SAG/AFTRA actor and you can see her in the Amazon Prime film Stealing Sunrise. She dedicates this run of Cabaret to her late Uncle Sammy DiMora who was in the Hillcrest LGBTQ Community and a lover of the performing arts. KRISTA FEALLOCK (Kit Kat Girl) is so happy to be a part of Cabaret at Coronado Playhouse! Some of her other credits include Sheila in Hair (OB Playhouse), O Wondrous Night! at Sea World San Diego, Turtle in A Year with Frog and Toad (North Coast Rep. Theatre), Little Red in Into the Woods (Star Theatre) and Peter Pan in Peter Pan & Wendy (SDSU). She has also been in many live shows singing and acting for Legoland CA. Krista has her BA in Theatre with an Emphasis in Performance from San Diego State University. For more visit www.kristafeallock.com . Enjoy the show! JOHN GARCIA (Herr Schultz) is happy to be making his debut at Coronado Playhouse. He was last seen in the Old Globes production of Barefoot in The Park and previously Anna Christie. Favorite San Diego theatre credits include: Holiday Memories, Diary of Anne Frank, Laughter on The 23rd Floor, Wait Until Dark (North Coast Rep); Desire Under The Elms, Curse of The Starving Class (Cygnet); Three Sisters (New Village Arts); You Never Can Tell (Avo); Dear Harvey (Diversionary) and The Grapes Of Wrath, La Gaviota (ion). Thank you to Erik for his love and support. JANET HWU (Kit Kat Girl) recently moved back to San Diego after working abroad in China and Japan building theme parks. Cabaret marks her debut with Coronado Playhouse and her first return to the stage since playing Ophelia at the Shanghai Grand Theatre, in an anime-biker-gang interpretation of Hamlet. Other appearances: Rent: Songs and Stories of Love (Urban Aphrodite International), Five Women Wearing the Same Dress and Cabaret (East West Theatre). 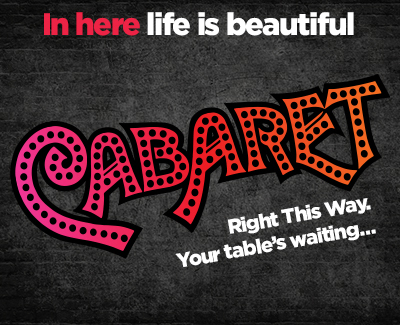 JULIE KENDIG (Kit Kat Girl) is delighted to be in Coronado Playhouse’s production of Cabaret. She holds a B.F.A. in theatre performance where she studied Brechtian and Absurdist theatre. She has worked in the San Diego arts education community since 2004 as a teacher, program manager, professional development trainer and researcher. She is pursuing a Ph.D. in education. Ms. Kendig believes in the power of the arts and creativity to transform lives and has dedicated her work to advocating for arts access for all. This role in Cabaret is the first time in 18 years she has been in a full production performance. SARAH ALIDA LECLAIR (Sally Bowles), M.M., Vocal Performance; favorite roles: Into the Woods (The Witch), Aida (Amneris) Don’t Dress for Dinner (Suzette), A Piece of My Heart (Mary Jo); Coronado Playhouse, Much Ado About Nothing (Beatrice), Addams Family (Morticia); Ion Theatre, The Last Five Years (Cathy) and Geeks! (Kerry); San Diego Rep, Fun Home (stand in, Alison, Helen); Point Loma Playhouse, First Night (Meredith); San Diego Opera W&M, Zombie Cinderella (Fairy Godmother); San Diego City Opera, Queen of Carthage (Dido). OLIVIA LUCCI (Kit Kat Girl) is so grateful to be a part of this production at Coronado Playhouse! Olivia was recently seen as a Phantom in The Rocky Horror Show (OB Playhouse) and the Placard girl in Reefer Madness (OB Playhouse). Olivia is a Dance Theatre graduate from AMDA. She also danced aboard Bahamas Paradise Cruise Line. Other credits include: Graziella in West Side Story (The Star Theatre) and Beauty and the Beast (Fine Arts Network). Special thanks to her family for all their love and support! GABRIEL MACEDO (Cliff Bradshaw) is delighted to make his Coronado Playhouse debut. Gabriel is a San Diego native who attended the University of Maryland, College Park. Favorite credits include Qulili (Blindspot Collective), The Little Mermaid (Pickwick Players), Living on Love (Vista’s Broadway Theatre) and Sonata: A Concert (Capital Fringe Festival). He currently trains at the Meisner/Chekhov Integrated Training Studio. ANNA MACHUCA (Kit Kat Girl) is thrilled to be performing at Coronado Playhouse for her first time but was most recently seen as Cheryl in Evil Dead the Musical at the Tenth Avenue Arts Center. Other appearances include the Narrator in Murder Ballad (2018) and Rosanna in Calvin Berger (2018), also at the Tenth Avenue Arts Center. NEIL MUNZ (Max/Officer/Sailor) is happy to be making his debut at Coronado Playhouse with this production of Cabaret. Neil is a recent graduate of San Francisco State University, having earned a Bachelor of Arts degree in Drama. While there, he participated in the musicals Hair (Berger) and Urinetown (Mr. Cladwell). Neil would like to thank his family and friends for their endless support of his craft. SIBONGILE NGAKO (Kit Kat Girl) has a Bachelor of Arts from Harvard University. She is thrilled to be returning to Coronado Playhouse after having appeared in their recent concert of Bare in the role of Tanya. Film credits include Already Lucky (Emma), Between the Sheets (Peaches), Little Boxes (Kyra) and Safe House (Special Agent Reynolds). As an opera singer, Sibongile performed with the Aspen Music Festival, Delaware Valley Opera, the Opera Company of Brooklyn and the Mozarteum in Salzburg. @sibongilengako on Instagram. MADELINE SCHULTZ (Kit Kat Girl) is so excited to be making her debut at Coronado Playhouse. She is currently studying education at San Diego State University and is an avid participant in their theatre program. You may have seen her in shows such as Foxtales, Pillowman and Matsuyama Mirror. Some of her favorite roles have included Fastrada in Pippin and Inga in Young Frankenstein. She would like to thank the cast and crew for their hard work! JOSEPH SIERRAS (Hans) is a Junior at Coronado High School and is so excited to be returning to Coronado Playhouse in Cabaret after his appearance as Benjamin in Joseph and the Amazing Technicolor Dreamcoat last season. Other credits include Cat in the Hat in Seussical (CMS), Hawking Clam in Peter and the Starcatcher (CoSA), Ensemble in Grease (CoSA) and Ensemble in The Mystery of Edwin Drood (CoSA). Joseph would like to thank his mother and father for their endless support. He would also like to thank his brother and sister for attending all his performances. He hopes you enjoy the show! SEAN SUTTON (Bobby) is grateful to be a part of Coronado Playhouse in this production as a Kit Kat Boy. Previous roles Sean has played are Corny Collins in Hairspray and Kyle, Dewey and Carlos in Legally Blonde the Musical, for which he was an NYA award recipient. Enjoy the show! KYLIE YOUNG (Kit Kat Girl) is thrilled to be back at Coronado Playhouse! Kylie graduated from UCSD with a BA in Theatre. Some of her favorite roles include: Janet Weiss in Rocky Horror Show at OB Playhouse, Laker Girl in Spamalot at the Welk Theatre, Brooke Wyndham in Legally Blonde at 3Peace Studios and Kate in Pirates of Penzance at Broadway Vista. She would like to thank her friends and family for supporting her in all of her performing endeavors! ANDREW SHANE WALTERS (Ernst Ludwig) is stoked to be back for his second production with Coronado Playhouse; his debut being King Charles III (2018) as Prince William. Andrew is a local musician and teacher who graduated from UCSD in spring of 2017. Past productions include: Safa’s Story (Blindspot Collective – OnStage Playhouse), Woyzeck (OnTheLine Collective), Danny’s Story (Blindspot Collective), The Magic In This Soul (Blindspot Collective – San Diego Fringe Festival), Bearspray (GMSR – Lyceum), kNOw More (CJR – Point Loma Nazarene University), The Eight Reindeer Monologues (OB Playhouse), Gruesome Playground Injuries (UCSD), Much Ado About Nothing (UCSD), Other People (Wagner New Play Festival). Andrew was more recently seen in the third school tour of Safa’s Story. VLADYMIR WONG (Victor) is excited to be performing on the Coronado Playhouse stage for the second time. He was last seen as a gambler in Guys and Dolls. Studying dance and theatre at San Diego City College, he also has performed in Chicago (2017) and The Rocky Horror Show (2018). Other theatre credits include A Midsummer Nights Dream (2018). IAN BRANDON (Music Director) recently moved to San Diego from London where he worked as a Music Director, Composer, Vocal Arranger, Orchestrator and Actor in the West End and on the London Fringe. Professional Musical Direction credits include: Ragtime (Arena Stage, Washington D.C.), Spring Awakening (Chelsea Theatre), ISHQ (Sadlers Wells), Violet (Young Vic), Scales of the Unexpected, (Edinburgh Festival, European Tour), Children of Eden, Once On This Island, The Wiz (Bridewell Theatre), Her Aching Heart (Hope Theatre), Forever Plaid, Starting Here Starting Now, Working (Upstairs at the Gatehouse) and Pippin (The Kings Head & Arts Depot). He has written original music for numerous short films, plays and recordings and his songs have been performed in the West End, London Fringe and Off-Broadway. JAESE LECUYER (Choreographer/Assistant Director) is a multi-disciplinary artist based in North Dakota. He has directed and choreographed several productions, most recently for Teen Musical Theatre of Oregon. Some of his favorite titles include Willy Wonka and the Chocolate Factory, Thoroughly Modern Millie, Shrek the Musical, Joseph and the Amazing Technicolor Dreamcoat, Annie and Hairspray. He is extremely excited to be working for the first time as Choreographer at Coronado Playhouse. ANTHONY ZELIG (Resident Producer & Production Manager) is excited to have helped support this very special production and to share it with you. After 24 years in New York, working on and off Broadway as well as surviving a career as a personal assistant, he is very happy to have made his way to San Diego and found a home at Coronado Playhouse. Previous CPH credits include designing lights for three 2018 shows: A Man of No Importance, Follies in Concert and Joseph and The Amazing Technicolor Dreamcoat as well as producing our recent production of Guys and Dolls and concert of Bare: A Pop Opera. Anthony dedicates his work on this show to his grandmother, Elizabeth Zelig, an Auschwitz survivor. LISA BURGESS (Costume Designer/Seamstress) is a self-taught seamstress and designer who has worked with many talented people in San Diego over the past 12 years. Previous CPH work in costuming and construction includes last season’s spectacular premier of King Charles III. Favorite past work elsewhere includes: Communicating Doors, Accomplice, The Heir Apparent, Sleuth, and Murder at the Howard Johnson’s (Scripps Ranch Theatre); Lion in Winter, Dr. Jekyl and Mr. Hyde, As Bees in Honey Drown, Foxes on the Fairway (Onstage Playhouse); Crimes of the Heart, 84 Charing Cross Road (Lamplighters) and Scenes From Mars One: Now With 68% Less Gravity (Outstanding Comedy Award, 2015 San Diego International Fringe Festival). Many thanks for the opportunity to work with the talented CPH production staff and cast of Cabaret. VANESSA DINNING (Dialect Coach) English-born and professionally trained as an actor and a voice/dialect specialist at renowned theatre conservatories in London, Vanessa enjoys a varied career as an actor, dialect coach and director. In the UK, she worked at The Royal National Theatre, Belgrade Theatre, Shakespeare’s Globe and others. In San Diego recent dialect coaching credits include work at San Diego Opera & Bodhi Tree Concerts, Cygnet, Moonlight Stage Productions, CPH, The Welk Resort Theatre, SRT/OTC, San Diego Musical Theatre and Lamb’s Players’ Theatre. Current and upcoming projects include Angels in America and Pride and Prejudice (Cygnet Theatre) and Matilda (Moonlight Stage Productions). Vanessa maintains a private studio teaching voice, dialect and singing and cello. Friday, March 22, 2019 at 6:30 p.m.
Community Theatre is made by, with and for the community in which it is performed. Coronado Playhouse is committed to pursuing community theatre in the truest sense of the words by giving back to the people of San Diego County and Coronado and using our public platform to help those in need. During the run of Cabaret, Coronado Playhouse has TWO community partners.